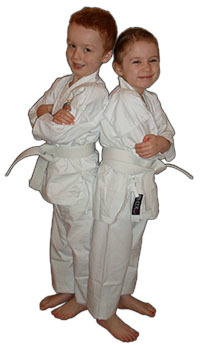 Children’s Karate is based on Sport Karate. In the sessions, children will learn new skills which will develop their co-ordination, balance, concentration and confidence. They will meet new friends in a safe and secure environment and feel a true sense of achievement with progression through the belt grading system. Our aim is to develop a positive attitude toward health and fitness, a respect for others and self esteem. Parents are able and encouraged to watch their child in a transparent teaching environment. 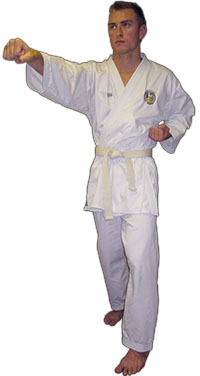 Adult Karate sessions are based on a mixture of Sport Karate, Fitness and Reality Based Karate. The arts that cover this are; Kumite which is mainly a striking based discipline and we use supplementary training with Pad Work, the solo practice of Kata, which function is explained through the practical self defence of Karate Jutsu and finally we have Tegumi, Okinawa's original art of clinching and wrestling. All drills are practiced safely and will teach you functional spontaneous self defence. Classes cater for new students that have no experience at all.